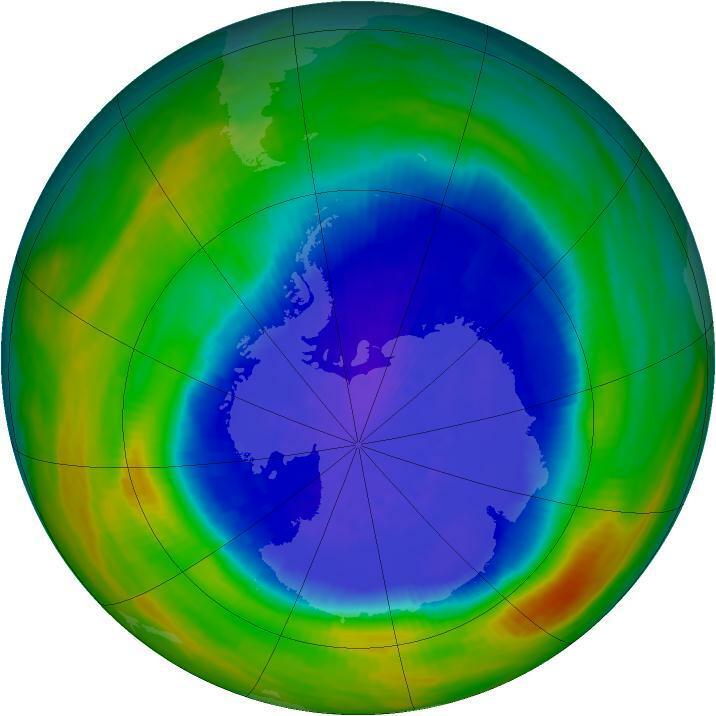 The 1990 Antarctic ozone hole matched the record 1987 ozone hole in depth, duration, and area. 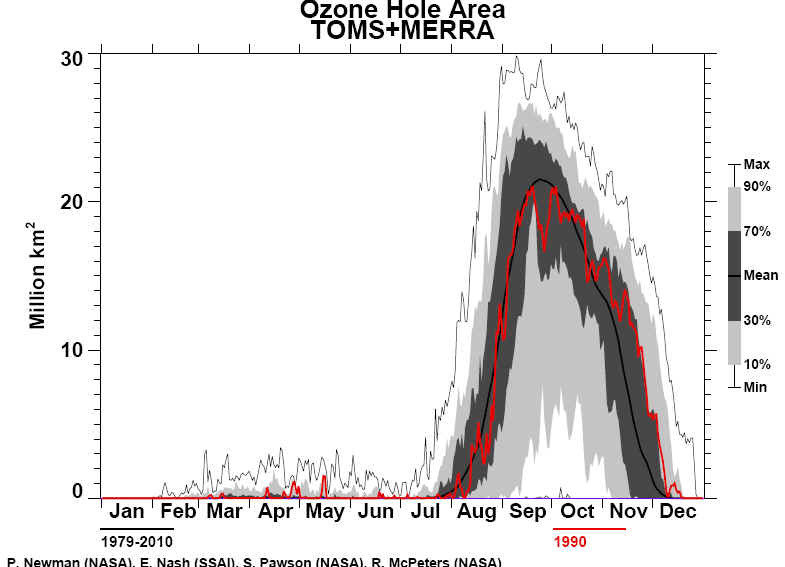 During the formation phase of the hole (August), total ozone values were the lowest yet recorded. 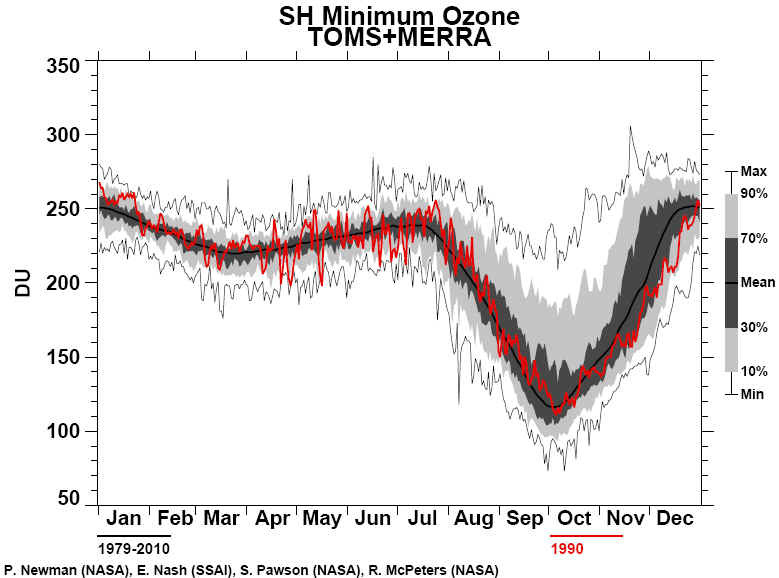 The decline rate approximately matched the record 1987 decline, and reached a minimum of 125 Dobson Units on October 4, 1990. 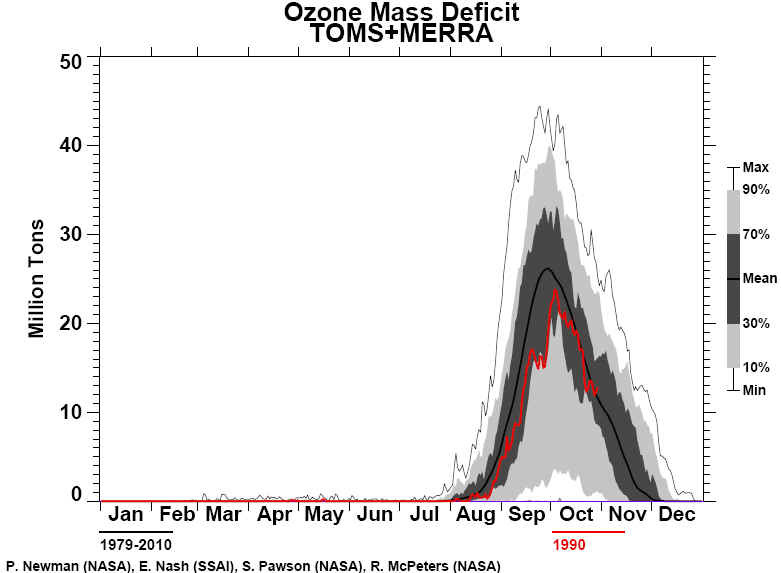 October total ozone averages were marginally higher than 1987. 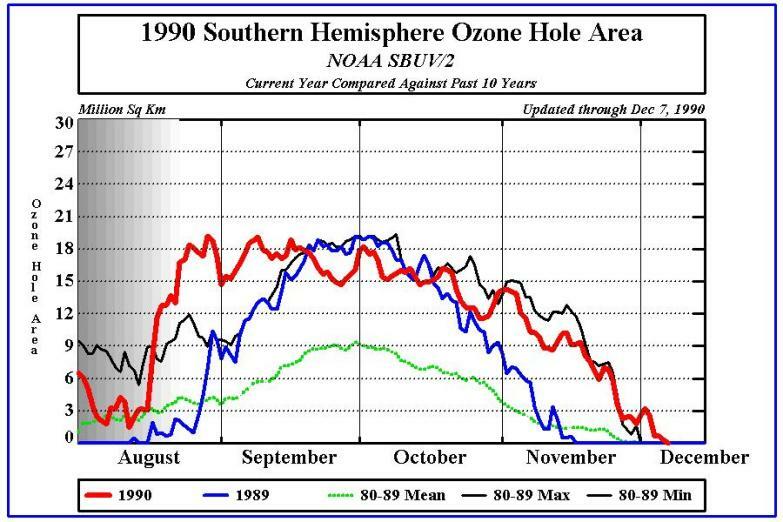 As during 1987, the 1990 total ozone values within the hole slowly and steadily increased during the mid‐October through November period. 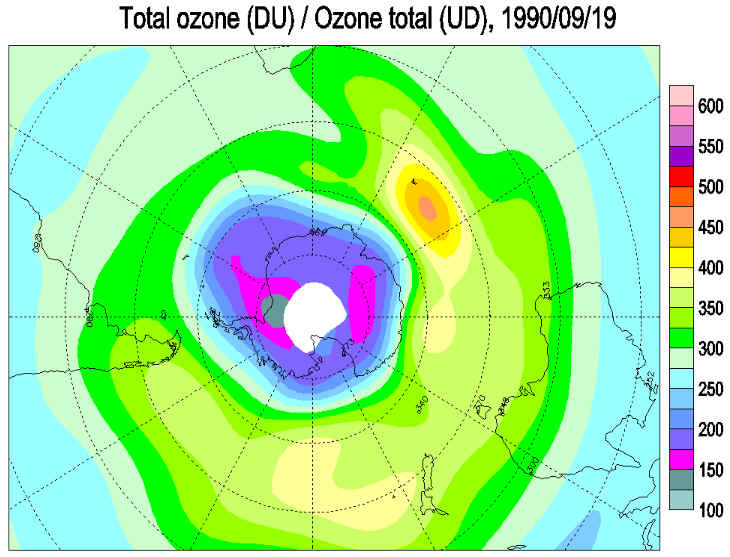 The ozone hole breakup was the latest yet recorded (early December), with low ozone values persisting over the pole through December, setting a record low for December average polar ozone. Temperatures were near average during the early spring, but were below normal for the late‐spring. Temperatures in the early spring of 1990 were substantially warmer than those observed in the early spring of 1987.